When we talk about the Seine, perhaps all of us will have a romantic image with elegant Parisians walking along the river under the sunshine. However, the River Seine is not that calm this winter. In fact, the Seine is sometimes quite precarious because of flooding. 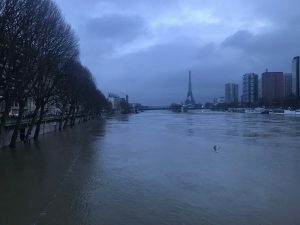 Since January 2018, Parisians have been warned as the Seine is flooding and its water level keeps rising. Although the actual situation is not as severe either as in 1900 or as in 2016, we wonder just how high the Paris flood can reach at this time and when this natural disaster will mark its end. The Seine River rose up to 5.88 meters on the Sunday 28th and went down to 5.33 meters on the Monday 29th. Therefore, some say that the water level has now reached its peak and will proceed to fall down. However, as no one can really control the nature, everything is far from conclusive. 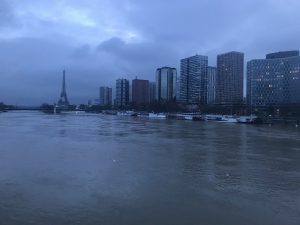 If it is to rain a lot in the coming days, it is not difficult to imagine that the Seine River’s flood will keep on being aggressive. 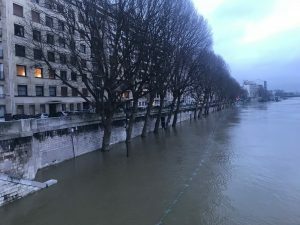 Even though the city council of Paris took a lot of measures to guard against the Paris flood, such as planting trees to absorb water, everytime there is a flood, it will severely get in the way of Parisians’ life. The sidewalks along the river where Parisians love going for a stroll now have been completely inundated. The week of 22nd January, the public transport system has been affected: the RER C has been closed not only between Gare d’Austerlitz and Avenue Henri-Martin, but also between Viroflay-Rive Gauche and Saint-Quentin-en-Yvelines. According to the RATP company, it is said that the partial closure of the RER C will continue until the 5th February but nobody knows when exactly RER C will totally return to normal. If you are planning to visit Paris and to take RER C, it would be better to look for another metro line in order to insure your travel plan. Moreover, because of the Paris flood, no boat can pass under the bridges so all the Seine cruises have been suspended until the water goes down to the normal level. From now until the near future, you need to contact the cruise companies in advance to make sure if they will still provide cruise service. Last but not least, please notice that it is strictly forbidden to go boating or swimming in the Seine River, especially in this dangerous moment with the flood. Not only can you be caught by the police, but also you risk your life by doing that. Are you going to visit Paris soon? No matter whether you already know this city, or if it will be your first stay, you may be in search of a new traveling experience. Perhaps doing some local activities as a Parisian, such as untraditional cooking tours in Paris can give you an impressive view. 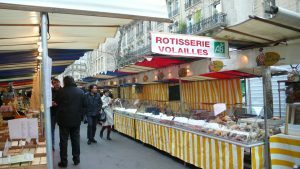 Markets are usually open on Sunday and another one or two days during the week in Paris. But you can also find some popular markets which are open nearly every day. 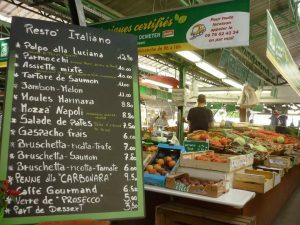 According to your needs and schedule, you can take cooking tours Paris in one or two markets. And that will definitely be an excellent unusual “tourist” experience. As the most ancient market in Paris, Le marché des enfants-rouges is located in the 3rd (Marais) arrondissement. 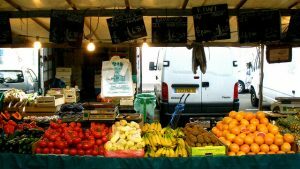 This market is so complete that you can find every kind of food here, from vegetables to fruits, from meats to fishes… Even If you are looking for a nosh, you will be able to find snacks from all over the world. With 115 sellers, Le marché Bastille is the biggest and the most popular street market in Paris. In this market, you can not only find food but also clothes, jewellery, toys etc. However, since there are so many sellers and this is a visitors’ favorite market, you should be very careful about products’ price and quality. When you are looking for something, make sure you compare the price at several stalls. If you are a fan of bio products, then you can’t miss the Raspail Bio market in your cooking tours in Paris. Open since 1989, it is the biggest and the most fashionable bio market in the French capital. Around 50 sellers provide fresh bio vegetables and fruits, meats, flowers, cheeses and even bio cosmetic products. We can also taste Italian sandwiches in the stall “la Cucina”. The concept of cook&go is very simple: you come, you cook and you go home with your plate. 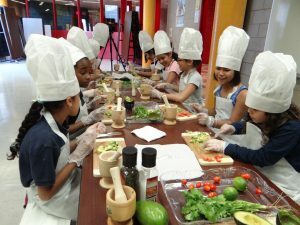 Of course, a chef will be there to teach everyone how to make your delicious dishes. The themes of the workshop are various: appetizer, main course, hamburgers, pastries, cookies… From 39€ to 79€ per head, you can choose a theme that interests you, learn a new dish and then enjoy what you make by yourself. 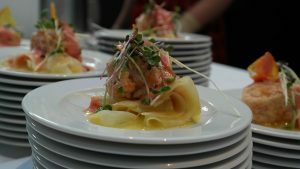 If you are planning cooking tours in Paris, then why don’t you take a look at their website to know if there is a class that suits your schedule? Moreover, it is possible to book seats for your friends visiting or living in Paris as a sweet gift. Do you want to learn to cook from a real chef? L’atelier des chefs may be the best choice for your cooking tours in Paris. If you are taking it seriously, they provide training courses of one-day, two-days, five-days or even longer if you are interested in the French gastronomy. In fact, you will be able to learn from a chef as in a real cooking school, that’s to say, 7 hours every day. But also, you can just choose one theme and learn one or several dishes in 30 minutes to 4 hours. So, if you have one day more in Paris and you have already visited all the monuments, learning to cook with these chefs could be an excellent and original idea. They have several workshops in Paris so that you can select one which is the most suitable for you.